Creativity can be seen in eye movement -- witness the body of common knowledge on how to detect a liar from their their "creative" eye movements -- and consciously generated eye movement can generate creativity. In findings printed in the journal Brain and Cognition and reported in Scientific American Mind (it's short! and you can listen to it! ), cognitive scientists have been able to show that "when you boost the level of communication between the right and left hemispheres your creativity increases" -- and it turns out that consciously generating some creative eye movement can induce this increase in creative activity by stimulating left/right hemisphere interaction. We discussed with Linda Stone back in October about the "commutative" properties of many physiological conditions and their neuropsychological correlates. For example, anxiety produces shallow breathing, but shallow breathing alone has been shown to increase anxiety. Relaxation gurus and Zen masters have been putting this principle of commutativity into practice well before this trend in scientific evidence began to emerge. If changes in eye movement are symptomatic of an ideation event in the individual, then I wonder if the effect we see in this study, starting with the symptom of creative eye movements to generate creativity, is another example of the same "commutativity" between neurology and behavior? If so, then we're gradually honing in on a trend in human neuropsychology that has the potential to empower us to Be All We Can Be by literally being what we'd like to feel, and feeling what we'd like to be. So when brainstorming ideas for that new Thanksgiving dish or the name of your unborn son, maybe try bilateral eye movement which, in the words of science, increases your inter-hemispheric interaction, and in turn increases your options. On Monday, October 19 2009, DJ Prefect dropped some science on the Brood of the Mau Mau, starting with 10 minutes of glibly reported science news followed by the expert commentary of Mo Costandi, noted writer of the Neurophilosophy blog on Scienceblogs.com. On the Subversive Science show about Muralizer this past Friday, we briefly reported on the recent research demonstrating a method of encoding a bad memory in fly brains. Mo Costandi, "neuroscientist by training, writer by inclination", was generous enough to give us an hour of his evening over in London to chat with us. First we talked more on the subject of the fly brain experiment [link to Mo's blog post on the topic], explaining the use of tiny light-sensitive molecular cages (we refer to them as "nanospheres") containing ATP burst open by lasers at the right time to encode a "avoid" notion attached to whatever sensory event the scientists felt like making the flies have a bad memory of. After a quick music break (highly abbreviated in the above non-Pirate Cat podcast -- you can pick up the original 2-hour PCR version of this show here), conversation flowed over synthaesthesia, neuroplasticity, voluntary amputation, post-traumatic neuroplastic events, and lots of recent research on how circumstances affect perception in individuals in fascinating ways. You can and should follow Mo Costandi on Twitter (@mocost) and check out his ever-fascinating Neurophilosophy blog on Scienceblogs.com. Super extra thanks to DJ VoodooIdol for letting Subversive Science do some time-slot-sitting for Brood of the Mau Mau! We kept Monday at 2-4pm warm and cozy and played some Babyland. Mmm, LA junk punk. Yesterday afternoon, DJ Prefect (yours truly) took on the Brood of the Mau Mau time slot from 2pm to 4pm and battled multifarious Pirate Cat Radio Cafe demons to bring you an interview with Linda Stone embedded in 2 hours of truly eclectic radio. Download the Interview with Linda Stone from Podomatic. Linda Stone, technologist at Apple through the 80s and 90s, first got online in 1993, and began writing about kinds of attention we pay to these technological devices clearly paving the way ahead. Her ideas stood askew of the popular notion that we were "multitasking". She instead termed it "continuous partial attention" and cautioned us to be aware that time divided not only didn't all add up to equivalent productivity among multiple tasks; it may also have mental and physical health effects. Check out Linda Stone's keynote speech on "Continuous Partial Attention" at IdeaConference 2006 (and thanks to Dorian Taylor for pointing this out to me originally). Her more recent research into what she calls Email Apnea -- manifested in her Huffington Post article -- reveals that time spent obsessing at screens, hunched over in poor posture and states of non-relaxation for long periods of time, results in a sustained fight-or-flight reaction which causes some very real physiological changes in our bodies, such as preventing us from reaching a state of satiety. The consequences could be many: irrational overeating, information addiction, and so on. This interview is packed full of interesting information about the enculturated ways we spend our time physically and the surprising "commutative" effects of breathing on our mental state: our mental state can produce physiological effects, but effecting these physiological states like quick shallow breathing can also instate the mental condition we would normally cite as the "cause". The normal running length of this program would be 2 hours, but technical difficulties (preventable power outages and strange mixing board settings, mainly) caused the official Pirate Cat Radio podcast for Monday, Oct 12, 2009 2-4pm to cut off at 21 minutes in due to the mp3 stream dying at about 20 minutes in. But it's worth a listen for a bit of science news and to find out what I've been up to for the past 2.5 weeks. Fortunately, 10 minutes of music bought me time to hack a quick fix by setting up a new Pirate Cat streaming mp3 relay and recruiting excellent friend Chris in Toronto to stream-rip the show in progress. Conclusion: Having a network of truly awesome friends is teh awesome. Related: this show's music playlist. Yohihito Yano, Saki Kabata / LONELY ROLLING STAR / Katamari Damacy Soundtrack "Katamari Fortissimo Damacy"
On Sept 16, 2009, DJ Prefect (that's me!) co-hosted This Week in Science while regular host Dr Kiki was on vacation. Go download this episode off their website! 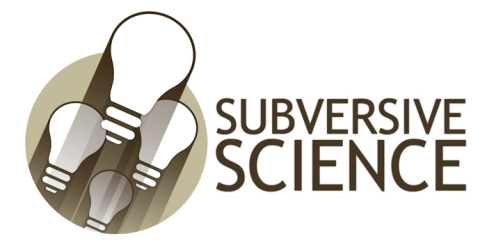 This Week in Science, hosted by Kirsten Sanford PhD and Justin Jackson, is a weekly 1-hour science broadcast based out of Davis (via KDVS) and podcasted around the world. Listenership is regularly in the tens of thousands, and that's just what they know from podcast downloads -- to say nothing of radio and direct stream tune-ins. I had an excellent time, regretting only how slow my brain was at 8am after an hour of driving out from Oakland to Davis. And Kiki's commute is longer than that, and she does it every week, and comes out sounding wicked smart. FEAR THIS WOMAN. I've been working like mad on several time-and-mind-consuming projects. Exciting and fun! But OMG tired! Another piratical takeover attempt is scheduled for this Friday at 11:59pm, for a 2-hour hijacking of Psionic Dehiscence. I'll be bringing eager radio greenhorn Enki on to talk some science, some apocalypse, and some seasteading... Tune in then! Lorenzo Hagarty just released through his Psychedelic Salon podcast a recorded conversation called "The Houseboat Summit" between Alan Watts, Timothy Leary, Allen Ginsberg, and others, all about the interpretation of Leary's famous "Tune In, Turn On, and Drop Out" motto. The media and government interpretation of this phrase was frequently heard as a "lack of communicating community", as one speaker put it, which is quite the opposite of the point. Alan Watts characterizes this problem as essentially spiritual: the Western tradition revolves around the universe having a boss, whereas other cultures (he refers to the Chinese) have a sense that order arises from mutual agreements between the constituent parts. Given that human beings are essentially creatures of social coordination -- incontrovertible support given by prehistorical research and evolutionary biology -- the idea of falling to total bedlam without the cosmic boss (God, president, CEO, whatever) should be seen as fundamentally absurd. The conversation revolves around practical movement to alternative community. What do people need to give up? What are the realities of turning away from modern technologies, which is often necessary when turning away from the popular mega-economy? Why have some communities succeeded and many more failed? The year that this conversation took place -- 1967 -- and the sense of urgency with which this topic is discussed among these great thinkers, "elders of the hippies" as Hagarty puts it, puts our current sense of urgency for answers to problems created by over-reliance on distant industry and over-abstraction of human values into economic and political values here in 2009, in eerie recapitulating perspective.